Find commercial property in Scotland to rent or buy with MoveHut. You can easily find the commercial property that’s right for you, in the town or city you wish to locate in, by navigating through the local authority areas of Scotland then selecting the town or city you wish to view available properties in. MoveHut also lists properties by class and category, making it a simple task to find the property your business needs, whether this is a warehouse in Wick or an automotive property in Aberdeen. With the option to view properties to buy or rent, MoveHut makes finding your perfect property easy, so start searching today. Whether you’re looking for a property in the North-West or the South-East of Scotland, MoveHut will have a commercial property to suit your needs. There are offices available in the Orkney Islands all the way down to Dumfries, and shops from Ayr to Edinburgh. So no matter what location you wish to find a commercial property to rent in Scotland, MoveHut has it covered. If you are looking to buy a property in Scotland, MoveHut is here to help. We have many commercial property choices available in the larger cities of Edinburgh, Glasgow and Aberdeen, as well as in up-and-coming areas such as Stirling and Inverness. So no matter whether you are looking for a serviced office or an industrial property, MoveHut’s huge range of available properties will help you on your way to finding the perfect premises. Scotland is an up-and-coming country in the world’s economy, largely thanks to the low cost of living and oil fields fuelling investments throughout the country. With large financial areas and bustling towns and cities spread throughout the Central Belt, finding a commercial property to buy or rent, whether this is an office, warehouse or shop, should be easy with a little help from MoveHut. 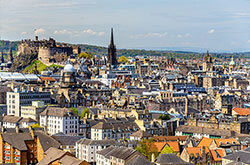 Edinburgh is Scotland’s capital city, and as such one of the busiest metropolitan areas in the country. 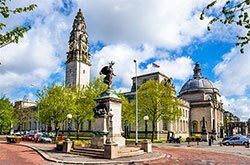 There is a huge range of commercial property choices here, from shops built in classical architectural structures to brand new industrial units built on the outskirts of the city. Glasgow is the largest city in Scotland, and the third most populous in the United Kingdom. With a busy city centre and popular outlying areas, landmarks such as the Buchanan Galleries and St Enoch Centre, are popular shopping areas with visitors to the city and residents alike. Aberdeen has recently been named as one of the most likely cities to help combat the UK recession, due to high employability rates and increasing average weekly earnings. As such, it is definitely an area to consider in terms of investment in Scotland. Inverness is the main city for those living in the Highlands with a range of commercial property choices. It is also one of Europe’s fastest growing cities, as around a quarter of Highland citizens live in the urban area, and sees thousands of tourists pass through every year, often using the city as a base from which to explore Scotland’s most picturesque local authority area. Stirling is one of Central Scotland’s prime locations in terms of commercial property. Whether you are looking for a retail property or a warehouse, landmarks such as the Springkerse Industrial Estate and the Thistles Shopping Centre offer a diverse range of units that could be ideal for your business. Scotland is part of the United Kingdom and shares its southern border with England. Along with England, Wales and Northern Ireland it makes up one of the European Union member states. Scotland is located in the Atlantic Ocean and, as such, has an oceanic climate, which means temperatures year round are generally mild without going to extremes on either side. However, due to its northerly position, temperatures here tend to be slightly lower than in the rest of the UK, with winter highs usually around 6 degrees Celsius and summer temperatures generally averaging around 26 degrees. 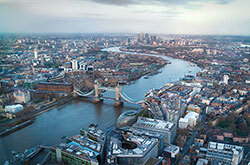 The population of Scotland is around 6 million – making it, in population terms, smaller than the Greater London area. It is divided into local authority areas, a few examples being Clackmannanshire, Stirling and East Lothian, although urban areas, or conurbations, are often used when citing population statistics. For example, the Greater Glasgow conurbation has a population of just over 1.2 million, meaning that around a quarter of Scots live within these boundaries. The economy in Scotland continues to be successful, with much of the country’s revenue generated by the oil industry. North Sea oil is drilled for off the coast of Aberdeen which, in turn, has become a thriving industrial community. Elsewhere in the country, service and industrial businesses are the leading industries, with tourism increasing in rural areas and also in Glasgow and Edinburgh.